Location: Behind Leprechaun’s Express Car Wash and just down Hillcrest Pkwy from Robins Federal Credit Union and Kroger. 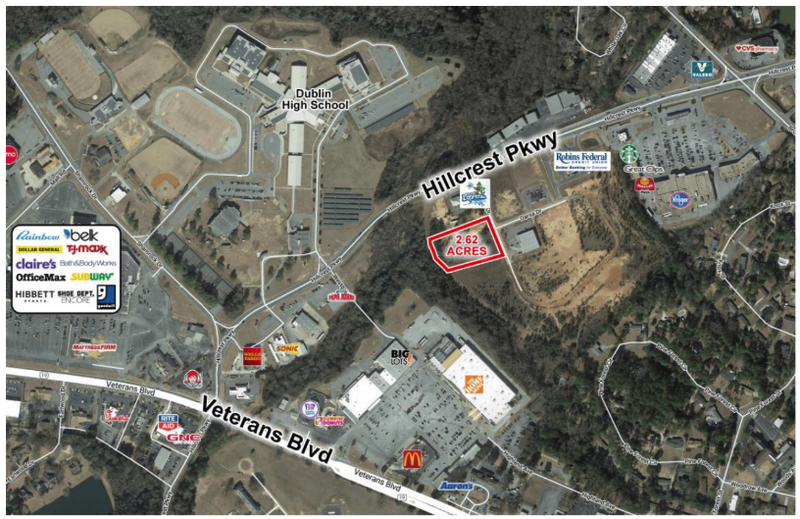 Notes: Land parcel is rectangular in shape with good visibility from Hillcrest Pkwy. Owner will consider selling or joint venture.